The ship arrived bringing tales of drunken sailors, exotic and oriental dancers, brightly coloured birds, jugglers and magicians. 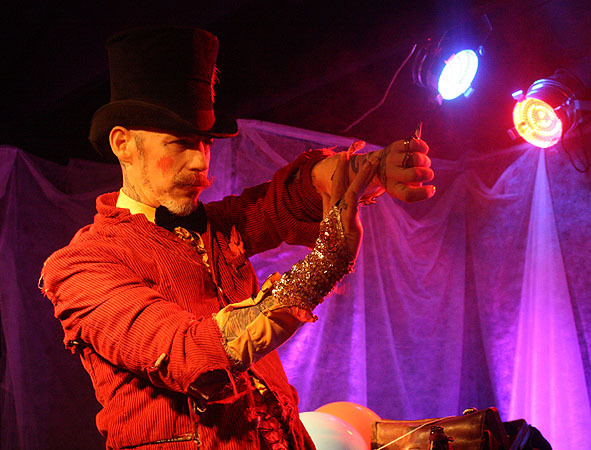 First we encountered the drunken sailor, a wonderful new performance by the master of boylesque, Bent Van Der Bleu. I have to admit it took me back to my childhood as I had done a project at school about sea shanties. The performance itself is a treat to behold, and one I hope to see again, I just wonder how much research went into the drunken behaviour part of the performance. 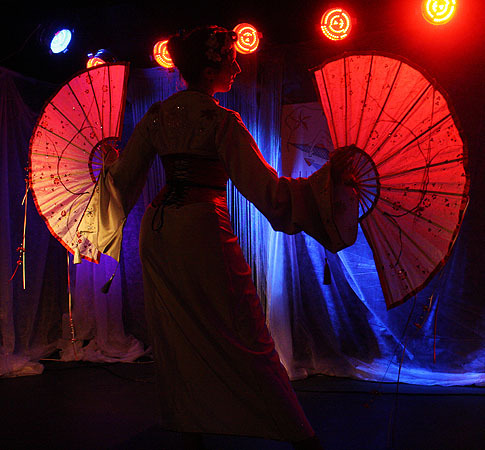 Next we was transported to the far east for a display of the orient by the lovely Pepper Sparkles, her elegance is a true delight in this performance as she takes you to the far east with such grace and style. Our next treat was a fine example of exotic dance from the delicious LouLou D’Vil, this was her first performance in Finland after her long time away touring, and we was not to be disappointed. After the break we was whisked away to the Asiatics of India and Burma, to witness the wonders of the Peacock that is native to those regions, the bright and exotic plumage of the male bird is used in it’s courtship dance. We then returned to southern Europe where the delights of talented entertainers was demonstrated with the noble art of juggling. Returning us to the mysteries of exotic dance was LouLou D’Vil with her new routine, a true delight. Finally we travelled to the Mediterranean to witness what can only be described as a very interesting magic act, as Christopher Wonder did what Christopher Wonder does. 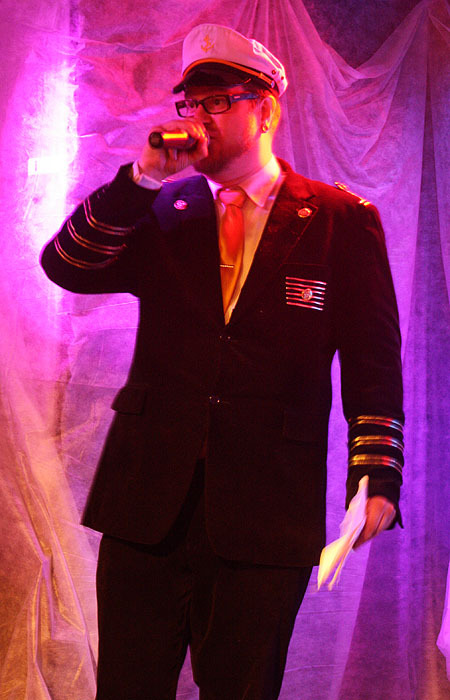 Keeping us on course and ship shape was our captain and host for the evening the entertaining Mr Willy. He was ably assisted by the lovely pick up artist Cindy VanSyn. While down in the engine room Dj Lord Fatty and Dj John Wayne kept the engines tuned to keep the music flowing. Unfortunately due to lighting conditions there are no pictures available.